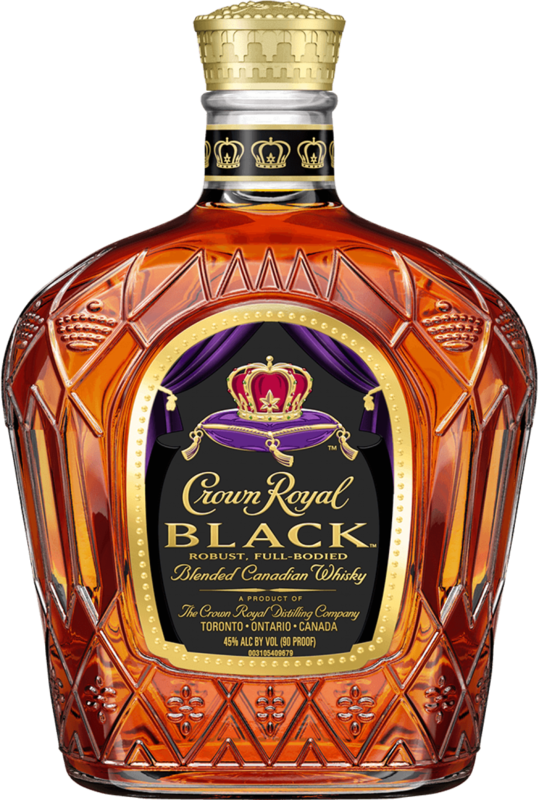 Crown Royal Black Canadian Whisky is crafted in Canadian tradition by blending finished whiskies with a base spirit. A bolder, darker and more robust whisky blended at 90 proof, yet with the signature smoothness of Crown Royal. It has a deeper oak background with dark, sweet, maple notes and a light vanilla flavor towards the finish.